We need more men to wake up to the reality women live with everyday—the possibility of being raped or beaten. At Father’s Day this year, it was hard not to think about the fathers whose children were murdered in mass killings. My thoughts turned to the fathers—and mothers—of those slain in Isla Vista, California in the aftermath of Elliot Rodger’s misogynist-fueled rampage. Just as the Sandy Hook fathers felt the ache in their hearts, so do these men. Citizens around the country grieved, were furious, or shook their heads at the inevitability of it all. Another mass killing: six murdered and 13 wounded. And, the killer took his own life, leaving another grieving set of parents. Despite the explicitly gendered motivation for his killing spree, the national conversation since the May 23rd mass murders is overwhelmingly still focused on gun control and mental health rather than masculinity. Men have again largely remained silent in the conversation. Yes, not all men harass women. And, yes, all women have, at some point, been harassed by a man. If that simultaneous truth can gain traction among men—from the pulpit to the factory floor; the softball field to the corner bar, then there’s a chance, a chance, we can change the prevailing narrative about masculinity. It’s a big if. As long as we spend our social capital on gun control and mental health to the exclusion of how we socialize boys and serve isolated, lonely, disaffected men, we will be on a fool’s errand. We can no longer deny what is fundamental to all mass shootings. We have had more than enough wake up calls—Columbine, Virginia Tech, Sandy Hook. And, we can ill afford to ignore the toxic effects of conventional masculinity, an urgent health care issue essential to ensuring a safe future for our society. As part of the profeminist, antisexist movement—and as a father and grandfather—my heart aches. The wound ripped open again and again; there’s never enough time between these horror stories for healing. For two decades my colleagues and I have been campaigning to place masculinity in the center of the mass shootings debate. 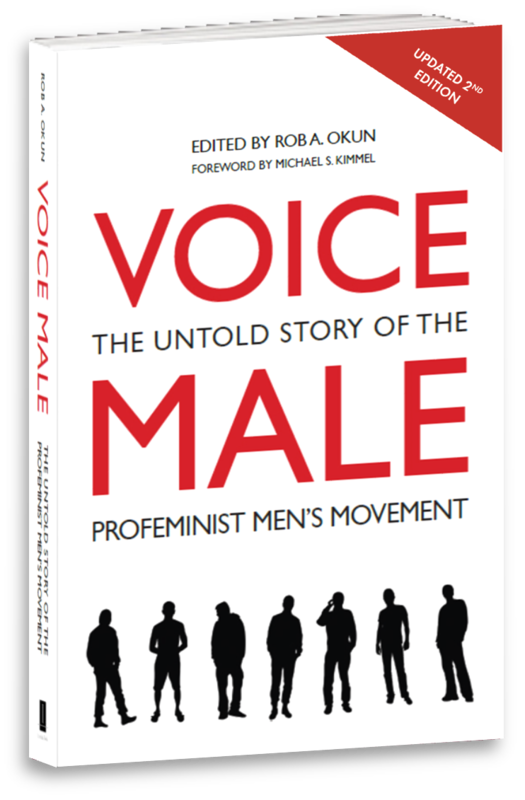 Even though all but one of 68 such rampages over two decades has been perpetrated by (overwhelmingly white) males, the media, government, and academic institutions largely ignored gender in the discussion. So we need men with a platform like Leonard Pitts to speak out. (Bob Herbert was such an ally when he was a columnist for the New York Times). And, we need their counterparts with far-reaching platforms in government, the military, academia, the entertainment and sports industries, and in faith communities. Many of the Sandy Hook fathers (and mothers) are speaking out, part of an exclusive club no one would wish to join. We also need everyday men—your brother, my son. Your work mate, my friend. Men who in the aftermath of a tragedy like Isla Vista have begun to wake up to the reality women live with everyday—that they could be raped or beaten. Men can no longer turn away from that truth. It’s about being more than an “active bystander.” It’s a consciousness shift that once acknowledged has to be incorporated into the fabric of men’s lives. Every day until there’s a new hashtag—Men Who Care. In the meantime, there’s a silver lining in the storm cloud that will hang over sunny Isla Vista for a long time to come. Yes, Elliot Rodger demonstrated how easy it is to procure guns, and as a result sparked new efforts at passing gun control laws. And, his action catalyzed a renewed commitment to improving mental health services. But the biggest unintended legacy of Rodger’s manifesto may be that his expression of loneliness, isolation, disconnection, and anger as a man may finally be heard. After nearly 70 mass killings in 20 years, maybe we’re ready to put masculinity in the center of a national debate that for too long has left gender out of the conversation.